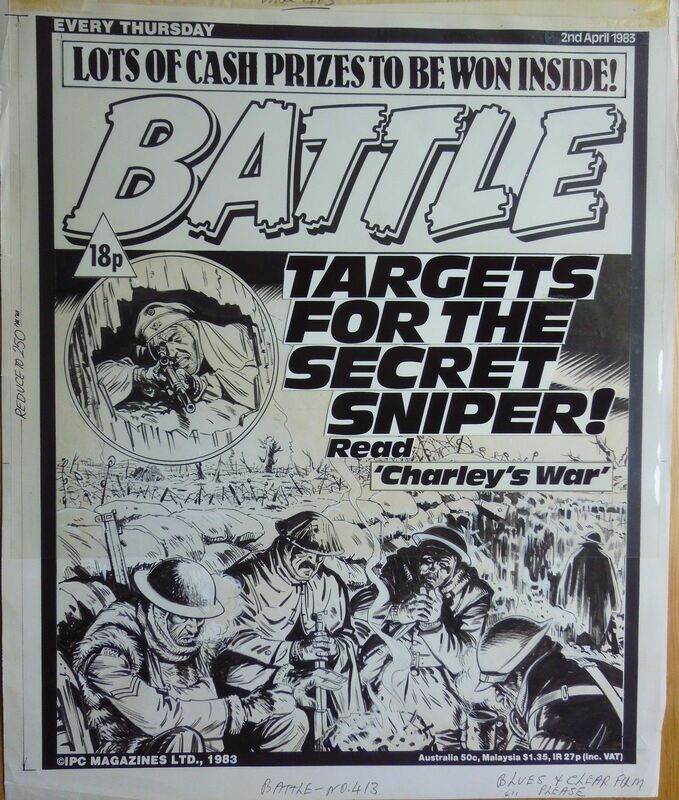 Back in May we reported (here) on the opportunity to acquire some original Charley's War artwork - those pieces went for c. £1500 and c. £3000 respectively (more details here). As you can see it's the cover of Battle for 2nd April 1983 and shows a German sniper preparing to shatter the peace of a British trench. Bids have started at £495and you have until 7:20pm on Monday 31st July to out-bid the current bidder, good luck!